Click the photo to visit our NASA LIES Official donation store. 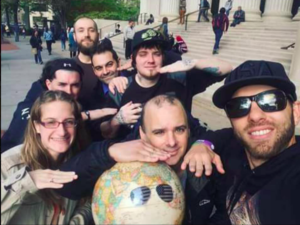 Your donation to NASA LIES, Inc., a non-profit educational organization in the Commonwealth of MA helps our organization spread awareness that the earth is flat. All items ordered from NASA LIES are made by flat earthers and people who are aware of just how awesome our flat earth really is. Why not donate now? We will spread the flat earth awareness everywhere we go.